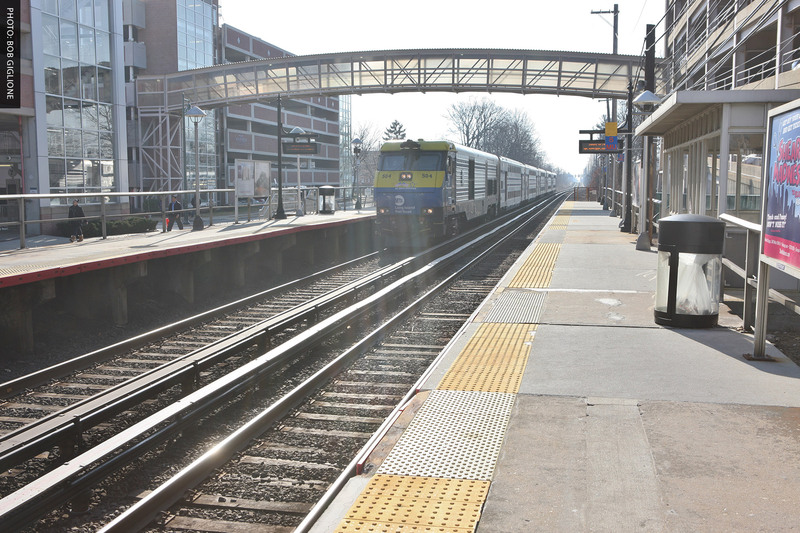 Eliminating the LIRR bottleneck in western Nassau County will unlock the economic potential of other transit investments in the New York metropolitan area. Who knew that the economic future of an entire region can rely upon a mere 9.8-mile stretch of rail? Between the village of Floral Park on the western end of Nassau County, and Hicksville, a major commuting hub on Long Island, the Long Island Rail Road’s complex rail network converges on its final approach into Manhattan. Many of the LIRR’s tracks come together to funnel into just two, creating a choke point for the railroad. With a plan to build a third track in this critical corridor, the LIRR is making one of the most important investments in its history. When completed, New York City and Long Island will reap substantive economic benefits as a result of the newly free-flowing and resilient system. For decades, urban planners have pressed for the construction of a third track as necessary for a transportation system built in the 19th century to meet the demands of the 21st. Aside from the logistical need for the project, it is essential to unlock the economic potential of other transit investments policymakers and elected officials have been making in the last decade. New York City’s mass-transit connections to its eastern suburbs are antiquated and crumbling. But the aging linkage is more than ever a crucial economic pipeline for workers commuting to Manhattan. Each day, roughly 300,000 rely upon the LIRR, a system built to be used by a fraction of today’s ridership. Today, the network can barely handle the demands placed upon it, let alone the challenges of future decades. When pressured, the LIRR cracks—and the collective economy of the metro region pays a heavy price thanks to losses in job productivity and time. Given the sad state of our rail, riders in the region should embrace the third-track project. In recent years, such cracks have occurred on Long Island with troubling frequency—from seemingly benign weather events damaging critically important components like tracks or switches, to something as simple as a truck striking an overpass. When these incidents happen in one of the most heavily trafficked rail corridor in the country, that mere 9.8 mile stretch, the losses in productivity and economic activity echo throughout the metropolitan area. The system lacks the resiliency and redundancy needed to keep the trains moving. Until now, policymakers haven’t been able to find the political will, or funding, to fix what clearly is broken. The third track would alleviate some of this pressure, allowing trains and their commuters to keep moving. Unless something changes with the LIRR system, things will only get worse as the pressures of demand increase. According to the MTA, East Side Access, the agency’s multibillion-dollar effort of bringing the LIRR to Grand Central Terminal, will be the principal driver behind a 28% increase in ridership over the next 30 years. As such, the railroad is preparing the rest of the system for the new demands and opportunities created by the project. For example, diverting riders to Grand Central Terminal will open track space at Penn Station, which is slated for improvements as well. In addition, smaller efforts are underway to allow the system to bear new ridership burdens, ranging from station improvements to track additions in other Suffolk County corridors. These pieces are part of a larger cohesive plan, with each amplifying the benefits of another. Again, all this will be for nothing if there are only two LIRR tracks in the 9.8 miles between Floral Park and Hicksville. An improved railroad can pay off in other ways as well. Overall, the LIRR’s efforts are likely to bring additional development, which must be balanced with sensible land-use practices across the region. As housing prices climb in New York City, local governments must make smart decisions about where to place new housing. Without channeling this growth to be sustainable, these ample public investments will not resonate as powerfully on Long Island as they should. Moving forward, it’s critical that all levels of government invest the necessary resources to see each effort through to completion. Such investment should be paired with creative ways to incentivize suburban commuters to leave their cars in the garage and take the newly improved mass-transit network to work, reducing the strain on our roads and bridges. However, such cohesive efforts will only solve our woes if the transit system is fully reliable, resilient, and functional. Simply put, both Long Island and New York City needs the third track for all of these grand plans to work. A 9.8-mile section of rail must not delay us any longer. Richard Murdocco, whose work is published at TheFoggiestIdea.org, formerly worked within the Mayor’s Office of Capital Project Development during the Bloomberg administration.